On April 22nd the world will celebrate Earth Day. The awareness of Earth Day has grown dramatically since it was first started in 1970. Now, we are taking it further and are honoring our earth all weekend long with ideas on where to take your date on this reminder to be eco-friendly. 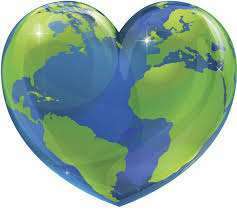 According to PartyEarth.com, Earth Day is now celebrated by over one billion people in nearly 200 countries around the globe. They have a list of activities you can attend in a variety of cities around the world. Here are some fun and romantic suggestions on what to do with your date on Earth Day Weekend, and all year long. Attend a cleanup of local bodies of water in your area. Plant a tree in a botanical garden. Go to a park and recite nature poems. Wear green and brown or Earth Day tee shirts. Cook a meal with organically grown vegetables. Turn off your cell phone and enjoy the moments together without technology. Go to a farmers market and pick our fresh vegetables. Go to a beach or park and have a picnic with organic wine and organic food. Happy Earth Day to you and your loved ones. Julie Spira is America’s Top Online Dating Expert and Digital Matchmaker. She was an early adopter of Internet dating and has been coaching singles on finding love online for over 20 years. Find out how our Irresistible Profiles will help you find your dream date.